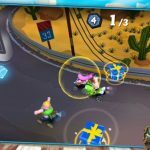 Attack the Light – Steven Universe is an official Cartoon Network title for both Android and iOS devices, and it’s one that’s gotten some good reviews from leading gaming publications. 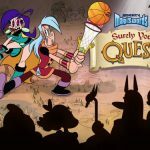 Kotaku calls it a “must-have for fans of the show and turn-based role playing games alike,” so even if you’re not a fan of Cartoon Network’s Steven Universe series, there should be something for you in this game. In this RPG, you get to explore caves, fight bad guys, collect super-secret treasure, and level up, while using various weapons and loading Steven’s backpack with all kinds of magical items. 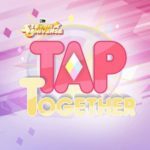 Now, that you know what the game is about, let’s bring you some Attack the Light – Steven Universe cheats, tips and strategies to help you in case you get stuck. 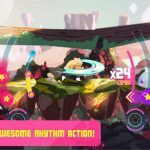 It’s easy to block enemy attacks in Attack the Light – Steven Universe. All you have to do is tap the screen at the right time, though this may require some practice. However, some attacks can’t be blocked at all, and others may need a different type of block than the conventional one – for example, you might have to tap repeatedly on the display instead of tapping once. Just like if you’re playing defense, you also need to get your timing down when it comes to your attacks. Why is this so? In here, Gems will perform a bonus attack on your foes if you tap at the right time upon seeing the visual cue. Knowing when to tap at the right time on offense could really shorten your battles and minimize damage on your end, and on the Gems’ end as well. Speaking of ending battles quickly, you can fight fast and furious in Attack the Light if you don’t have any qualms about using your items, particularly your fruit. You have those items for a reason, so don’t let them go unused. If you’re having a hard time finding items, you’re sure to find one sooner or later at several points in the game. Then again, there are some items that you would want to save for a time when you really need them, such as a boss battle. For example, the Gems’ wristbands, helmets, and other items that give them temporary boosts, are best used in boss battles, and not used in ordinary ones. If you’ve still got star points left over from your last turn, they can carry over to the next. And if you’ve been playing the game for a while, you probably know how useful star points can be when executing special skills. A lot of the levels in Attack the Light – Steven Universe have hidden passages, so keep your eyes peeled at all times for those small points of light that may likely lead you to a secret area.